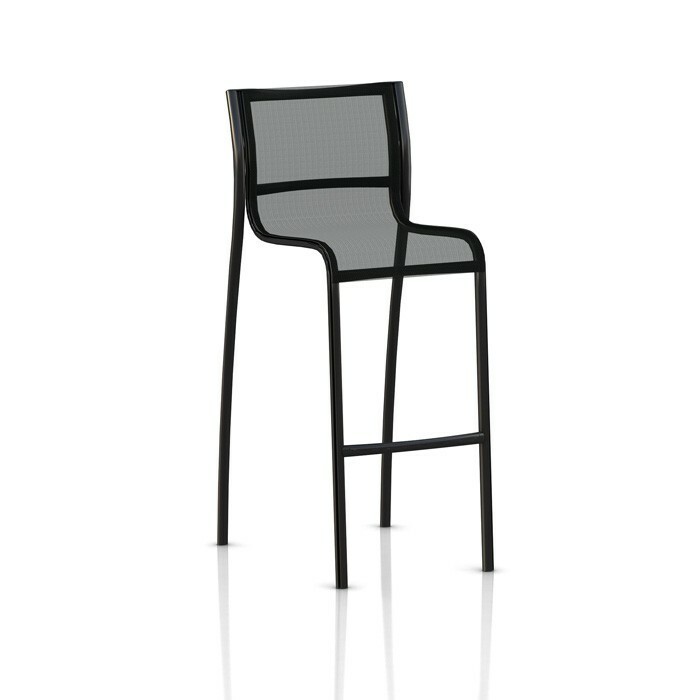 A seating collection in which the extruded aluminium frame combines perfectly with various materials, from vinyl polymer to a more sophisticated leather version. As always, Magis invested deeply in the industrialization of the product and in the manufacturing process, in order to make it suitable for mass production. Special tools were created to manufacture this collection, including a machine to cut the double section aluminium bars along Production Process their length and to prepare them for bending in a special bending machine, as well as an automatic assembly device to fit the seat to the die-cast aluminium crosspieces. Frame in aluminium painted in polyesterpowder. Crosspieces and foot-rest in die-cast aluminium painted in polyester powder. Seat in polyester-vinyl polymer fabric.